Among the many inspirational stories shared this week at the Democratic National Convention, Khizr Khan's tribute to his son, Army Capt. Humayun Khan, stood out. The younger Khan, an American Muslim, gave his life in Iraq to save the lives of his fellow soldiers. He was posthumously awarded the Bronze Star and the Purple Heart. The speech simultaneously conveyed a father's love for his lost child and pride in his country, punctuated by a direct repudiation of Donald Trump. "Have you ever been to Arlington Cemetery?" Khan pointedly asked the Republican nominee, referencing the site of his son's burial. "You will see all faiths, genders, and ethnicities. You have sacrificed nothing. And no one." Khan's speech has since gone viral, with #KhizrKhan trending on Twitter. His powerful appeal shows how to win over fair-minded Americans bombarded by anti-Muslim fear-mongering. In the space of six minutes, Khan--a U.S. citizen who resides in Charlottesville, VA--offered a rhetorical roadmap for combating Islamophobia in the United States. First, Khan's story overcame what psychology refers to as "cognitive dissonance," in which individuals simultaneously hold incompatible ideas or conflicting emotions. When thinking about Muslims, research shows that some non-Muslim Americans experience cognitive dissonance because they value the ideas of religious freedom and tolerance, but also fear terrorism and harbor a suspicion that American Muslims aren't necessarily loyal to the U.S.
Khan's poignant remembrance of his son's military service obliterated the notion of disloyalty. 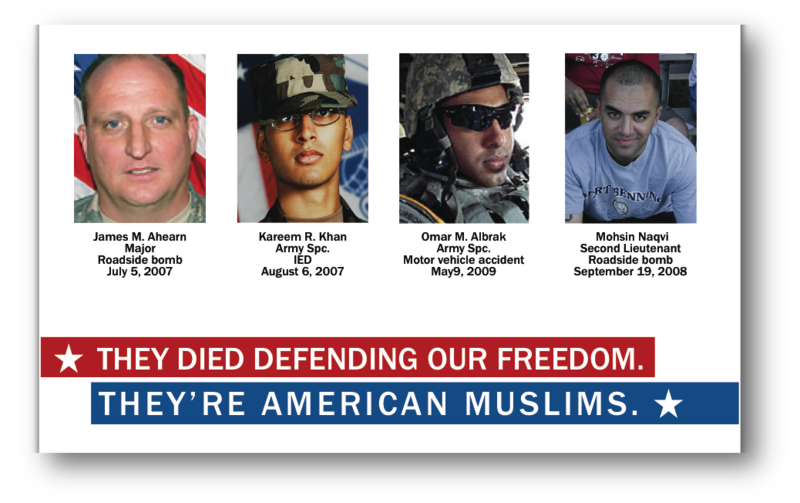 Neutralizing doubts about the patriotism and loyalty of American Muslims creates the space for an appeal to tolerance: Anyone who puts their life on the line for our country deserves to be treated fairly. 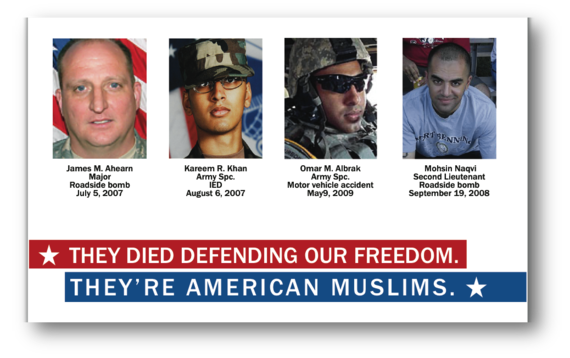 The message research and development team at Hattaway Communications created the ad below featuring American Muslims who gave the ultimate sacrifice for their country. As one person who saw the ad in a focus group put it, "This throws the prejudice out the window." Beyond the power of his son's story, Mr. Khan and other convention speakers also used powerful language by referring to his family as "American Muslims" rather than "Muslim-Americans." While the order of the words may seem meaningless, our work has shown that these two constructs evoke surprisingly different reactions. Focus group participants discussing this topic associated the term "Muslim-American" with words such as "foreign" and "strict," and raised concerns about a perceived mistreatment of women. With the order of the words switched, however, the same people responded with phrases such as "came to America for a better life" and "contribute to society." These reactions illustrate the importance of the first word in a message, which colors the reactions to every word that follows it. This experiment also showed the power of the word "American" to help counter negative portrayals and perceptions of Muslims who are part of the fabric of our diverse society. Mr. Khan's speech showcased a powerful way to tell the story of Muslims in America, with examples of their contributions to and sacrifices for our country--and language that reminds people we're all on the same team. It's a powerful lesson for anyone interested in countering anti-Muslim fear-mongering--or battling prejudice against Americans of any race and background.